Tennessee House Majority Leader Gerald McCormick laughs on Jan. 5, 2016, at the Chattanooga Times Free Press. Photo by Angela Lewis Foster /Times Free Press. NASHVILLE — State Rep. Gerald McCormick, R-Chattanooga, says he won't seek re-election to the House District 26 seat he's held for nearly 14 years and he will officially withdraw from the contest Monday. He also will resign from the House on Oct. 1 as he takes a full-time job working for a local firm expanding its presence in Nashville. "A professional position with Asa Engineering and Consulting, a Chattanooga-based company, requires me to relocate to Nashville to grow the firm's new office," the former House majority leader and current Finance Subcommittee chairman stated to the Times Free Press. "My plan was to run for re-election and I believe the voters of the 26th District would return me to Nashville to continue representing them in the Tennessee General Assembly. Being able to assist Asa, a women-owned firm, expand its business in the broader Nashville/Davidson County market is a great opportunity." The move has major ramifications for the District 26 contest. 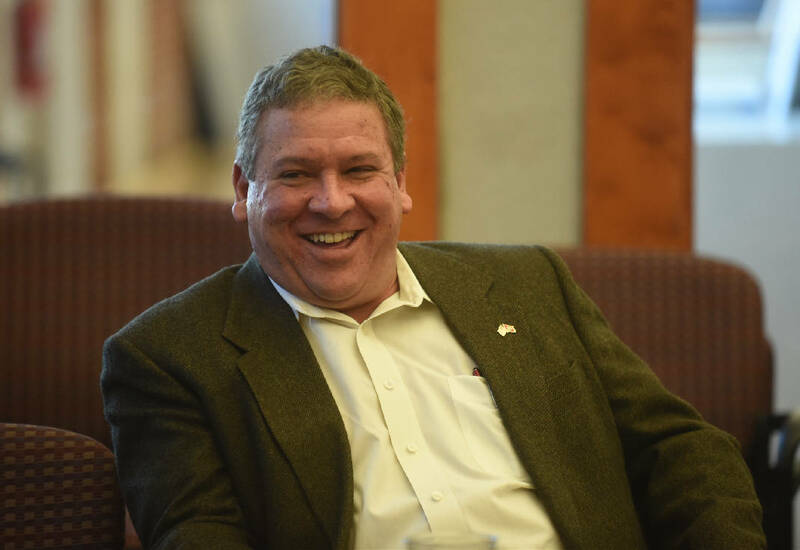 McCormick said his resignation opens a seven-day opportunity for Republicans who live in the district and have an interest in the seat to qualify for the Aug. 2 GOP primary ballot. It also could impact the expected battle among GOP lawmakers to replace retiring House Speaker Beth Harwell, R-Nashville, who is running for governor. The 56-year-old, who works as a real estate broker and developer, had been interested in pursuing the chamber's No. 1 job, as have current Majority Leader Glen Casada, R-Franklin; House Speaker Pro Tempore Curtis Johnson, R-Clarksville, and Assistant Majority Leader David Hawk, R-Greeneville. In making his decision to not seek re-election, McCormick, who is on the Aug. 2 GOP primary ballot, said he consulted with Tennessee Attorney General Herbert Slatery. The state's top lawyer told him law allows candidates to officially withdraw 45 days before the primary election. Potential candidates for the Republican nomination have seven days to gather signatures of 25 registered voters in order to qualify for the August ballot. McCormick, who previously served three terms in the House's No. 2 leadership slot as majority leader, said the decision was in no way tied to the Aug. 4, 2017, purchase of a $487,032 home in Nashville by he and his wife, Kim McCormick, a top aide to Tennessee Board of Regents Chancellor Flora Tydings. Kim McCormick spends most of her time in the state capital. The purchase recently triggered a controversy — McCormick blames Democrats for it — over his legal residency, although he still owns a home on Big Ridge. State Election Coordinator Mark Goins said that while a loan document listed the Nashville home as the McCormicks' "principal residence," the lawmaker's continued ownership of the Big Ridge home, latest federal income tax filing, local business and tax filings, various McCormick licenses, purchase receipts, and other documents show he spent most of his time in Hamilton County outside of the annual legislative session. "It did not have anything to do with that," McCormick said. "That actually put me off for a few days because I didn't want it to appear [so]." Jeff Sikes, a senior vice president of engineering firm Asa, said in a statement the firm is glad to have McCormick join the company. "He brings years of experience in understanding the regulatory and policy areas of state government that are important to our customers," Sikes said. "He brings a keen understanding of ways to navigate a number of areas that are critical to supporting our projects." Sikes said McCormick's job will include expanding Asa's Nashville office, which opened in January, and supporting the Chattanooga-based firm's clients and projects in the growing Middle Tennessee market. "I greatly appreciate the support and confidence of the people of the 26th District in allowing me to be their representative and voice in the Tennessee General Assembly," McCormick said. "I leave with fond memories of being able to serve in elected office." He said he will now be "transitioning to Nashville where I will be spending more time." Another factor in his decision is the pending birth of his first grandchild, whose parents live in Nashville. "I'm a heck of a lot more excited about that than any political situations right now," he said. McCormick said he really doesn't have many regrets about leaving the General Assembly, quipping, "I feel like the sixth man that goes in on a basketball team. I may not have been the best player, but I played really hard." He said that he never saw himself serving a dozen years and that while he was confident of winning re-election this year, leaving on his own terms was "important to me. I've seen too many hang around too long, that they went out involuntarily and I didn't want that to happen to me." "There are other things to do other than being in politics, and I look forward to seeing what those things lead to," he said. Outgoing Gov. Bill Haslam praised McCormick's effort and leadership. "I have truly appreciated the opportunity to serve with Gerald over the last eight years," Haslam said. "During the time he was majority leader, we worked together on a lot of significant legislation. Gerald's insight, relationships and hard work were key to much of that legislation passing. "The state of Tennessee is better today because of Gerald's service and we will miss him in the legislature," he said. McCormick's political career began as a Democrat when he challenged then-Rep. Ken Meyer, R-East Ridge, in 1992, losing to Meyer. But when Meyer left the Legislature, he as well as then-U.S. Rep. Zach Wamp, R-Tenn., and others successfully enlisted the conservative Democrat to run as a Republican in 2004. In 2010, when Republicans gained their first House working majority, he was elected majority leader by GOP Caucus members. Often blunt, rarely shirking from controversy and armed with a quick wit, the Army veteran of the first Gulf War handled Republican Gov. Bill Haslam's legislative package, personally carrying many of the governor's major initiatives. It's his proudest achievement, he said. "Just in general being the majority leader and helping Bill Haslam carry his legislation over a six-year period," McCormick said. "I think the most important one was the Tennessee Promise that made us basically the first state in the nation where you can get a two-year degree with last-dollar scholarships and it be paid for." The landmark 2014 legislation uses earnings from state lottery proceeds to provide the scholarships for Tennessee high school graduates to attend state community and technical colleges tuition free. It's won national acclaim. Other accomplishments he said he's proud of is a 2009 bill telecommunications market regulation law he passed that he said led to more than a $1 billion in investments in Tennessee by AT&T to build out infrastructure which he added resulted in thousands of new jobs. He said a little notice 2014 "Origin of Goods" law he passed that helped to protect Tennessee-based songwriters' intellectual property rights. And he cited getting a $3.5 million appropriation for several years running to provide substance abuse treatment for youths. As chairman of the Finance Subcommittee, he said he was proud of Tennessee passing budgets "without any accounting tricks," unlike some states. McCormick in 2011 became the first Tennessee House Republican majority leader in decades after GOP lawmakers won firm control of the 99-member chamber in 2010 elections. They now have a 74-member super majority in the chamber. Two Democrats, David Jones and Jean-Marie Lawrence, are running in their party's District 26 primary. It wasn't immediately clear what Republicans may seek McCormick's seat now that there is an opening in the GOP-leaning district. But former Tennessee Republican Chairman Robin Smith lives in the district as does Tony Sanders, a Unum executive who hosts a weekly outdoors radio program, serves on the Tennessee Fish and Wildlife Commission and is on the executive committee of Tennessee Friends of National Rifle Association. Contact staff writer Andy Sher at asher@timesfreepress.com or 615-255-0550. Follow on Twitter @AndySher1.